Water damage occurs due to a variety of reasons, such as overflow, leakage in concealed pipelines, or natural calamities like flood. The damages caused by water to the structure and living environment differ with the contamination level of the stagnant water. Generally the water is categorized in to three types: category 1 which has low pollution levels, category 2 which is likely to cause minor ailments, and category 3 or the black water which is highly polluted. It is important to follow the rules provided by IICRC S500 for water damage restoration. When it comes to water damage or flood damage, the wisest thing to do is call up a service provider that is well experienced in water damage restoration like Carpet Cleaning Austin 512-692-6865. The first thing our expert will do is the estimation of damage done by the water to the property otherwise called as loss assessment or evaluation. It is essential to document the loss of material and evaluate them in order to make any insurance claims for the loss. To prevent further damage, the best move is to call in water damage restoration expert of carpet Cleaning Austin, to walk you through the process and take the following precautions. Immediately the source and extent of water damage should be inspected with proper water sensing equipment, such as probes or infrared tools. Water extraction should be done using suitable pumps. 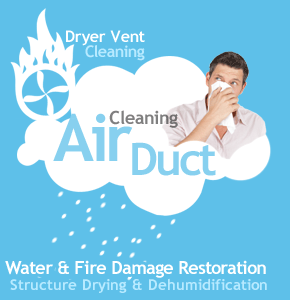 There are turbo jet dryers that aid in quick drying of the affected areas and structure. Sanitizing and deodorizing should be done after water extraction with immediate effect in order to proceed with further water damage restoration. At this juncture it is important to follow safety procedures in order to safe guard yourself from various health problems caused by contaminated water or mold growth. Always wear protective clothing and don't reoccupy your house until the mold removal is complete. Especially infants and people allergic to spores from mold should wear respiratory masks to prevent any ailment due to the unhygienic conditions caused by water damage. Once things are restored to normalcy, you can with the help of documented loss approach your insurance company to claim compensation for the loss. However, you should also be aware that not all of the losses are covered by the insurance companies; you can get a clear picture of what will be compensated and what will not be covered under the policy of the insurance company by reading the fine print. Sometimes you cannot prevent water damage. The same is true of the need for flood restoration. You cannot control Mother Nature. If you do find yourself faced with emergency water damage, it is vital that you act quickly. Contact Carpet Cleaning Austin at 512-692-6865 for emergency Services and fast Cleaning of water damage. Not only do we handle all sorts of hazardous destruction, we have the proper fast acting equipment to provide immediate assistance.